Love your locks! 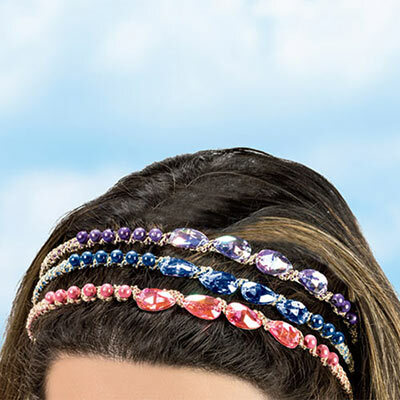 Sparkling details like faceted faux gemstones and gleaming aurora borealis beadwork give this Shimmering Teardrop Headband glamorous appeal. Metal band covered with golden polyester threads keeps everything secure. One size fits most. Imported. Hurry! Quantities are limited!